Many struggle with how and where to start their very first blog. There are many ways in which one could start blogging and many websites which support it. WordPress is one of the ways you can set up your very first blog and setting up a blog on WordPress is incredibly easy and affordable. 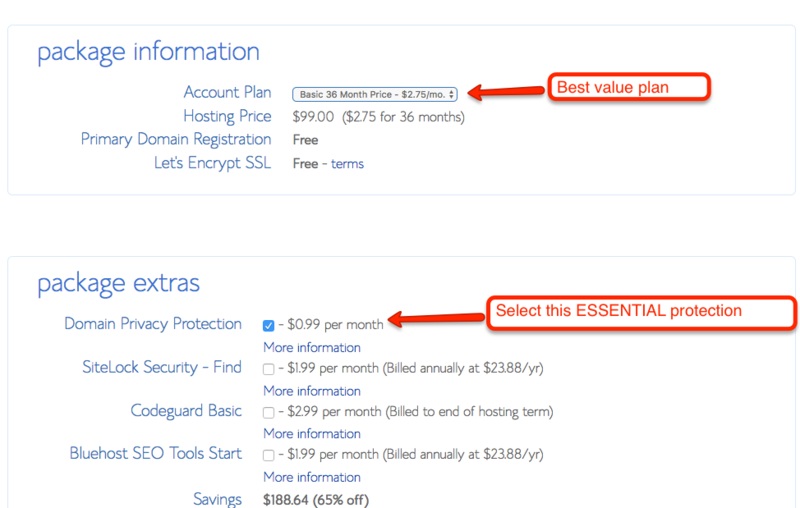 It can be even more affordable if you use Bluehost as a hosting service. Hosting services are needed to keep your website up and running on the internet and Bluehost is one of the best and most budget friendly hosting service out there. So if you are someone who is looking to delve into the world of blogging, webhosting through Bluehost is the perfect option for you. Bluehost is known to be one of the top web hosting companies of the year and you can avail their services for as low as a few dollars a month. This low-cost investment will no doubt kick start your career as a blogger the right way, and soon you will be generating a vast income. So, if there are websites that let you blog for free, why should you be paying of a webhosting service? Many people think that creating a blog without paying for it on websites such as Blogger would be a nice starting point. That is a terrible misconception because a blog on WordPress might require some investment, but you can reap the benefits of that in the future. If you want to turn blogging into a career, it is crucial for you to invest in a good web hosting service such as Bluehost to host your WordPress blog. There are several undeniable advantages to paying for hosting on Bluehost like its ease of use, affordability and reliability. It is extremely simple and cheap to set up a free domain on Bluehost, furthermore it allows you to advertise and post affiliate links which you can easily earn from. Blogging through a free blogging service such are Blogger almost never generates any kind of revenue. Most big advertisers and companies prefer self-hosted WordPress blogs hosted on services such as Bluehost over blogs on free websites like Blogger. Such free websites are usually considered unreliable or unprofessional and rarely receive any advertising opportunities. Furthermore, on free websites you are not really the owner of the domain which means all your content can be deleted by them whenever they want! That is why it is almost useless to have a blog set up on a free website if you want to make money blogging, it is far better to make the small investment for webhosting. With its low cost, high reliability and amazing offers, Bluehost is definitely the way to go. You can start your blog at bluehost for as low as $2,75 per month (using my affiliate link) So whether you're a newbie or an experienced blogger, Bluehost might change your blog for the better. Let's take a look at some of the reasons why Bluehost is perhaps the best option for your WordPress blog. It's Simple and Quick – Creating a blog on WordPress through Bluehost is surprisingly easy and quick. Bluehost provides assistance in setting up your WordPress account and makes the process even easier. All you have to do is follow a few simple steps and you will have your new blog up and running in no time! Get Technical Support – Bluehost web hosting provides technical support that can guide you through the process of creating and maintaining a blog there. So if you are ever unsure about anything, you can get technical support from their very supportive staff. Budget Friendly – Unlike many webhosting services, Bluehost will not break your bank. As a new blogger, it is quite daunting to trust websites to not take advantage of you. Bluehost provides the best blog hosting services at the cheapest rates so everyone can manage to pay for their blog. Free Blog domain – One of the best things about Bluehost is that you get a free blog domain. This really reduces the overall cost of managing your blog. The only thing you have to pay for is the hosting service, which is also very affordable. Free WordPress – Bluehost is perfect if you are creating a WordPress blog, because with Bluehost you can use it for free. It also provides extra assistance to guide you through WordPress and makes it much easier. Get a Guarantee– Bluehost even provides a guarantee if you decide that it is not suitable for you. You will have a self-hosted Blog – As mentioned earlier, it is essential to possess a self-hosted blog in order to make money blogging. With Bluehost you will become self-hosted so you can seem more professional to advertisers and quickly start earning. Appear more Professional – Having a self-hosted website appears more professional to viewers. Advertisers and companies are known to trust websites that look professional and reliable. With a self-hosted blog on Bluehost, your website will attract advertisers so you can earn through advertisements and partnerships. There are countless webhosting companies out there, but Bluehost is undeniably one of the best among them. Bluehost provides a wide variety of plans and pricing packages which you can choose from according your needs. So, let's get started on how to create a WordPress blog using Bluehost with a few very simple steps. The first thing you need to do to start making a WordPress blog is to head over to Bluehost and sign up. After that there are only a few simple steps to follow, I will walk you through these steps so you can easily set up your first blog on WordPress and start earning. The very first step is to visit here to create a blog and buy a domain name for affordable rates. Then just follow the easy steps given below to set it up. The most important thing in this step is to think long and hard about what your domain name is going to be. Your WordPress domain name is an important part of your blog so give it a lot of thought before deciding on one. Make sure to not choose a name that is too confusing to write, spell and promote. Keep it short, simple and catchy but also relevant to your blog. There are many websites which sell domain names. You can even get your domain name directly from Bluehost to make the entire process much simpler. Through this, you can get a free domain for the first year and you only have to pay for 12 months of Bluehost webhosting. 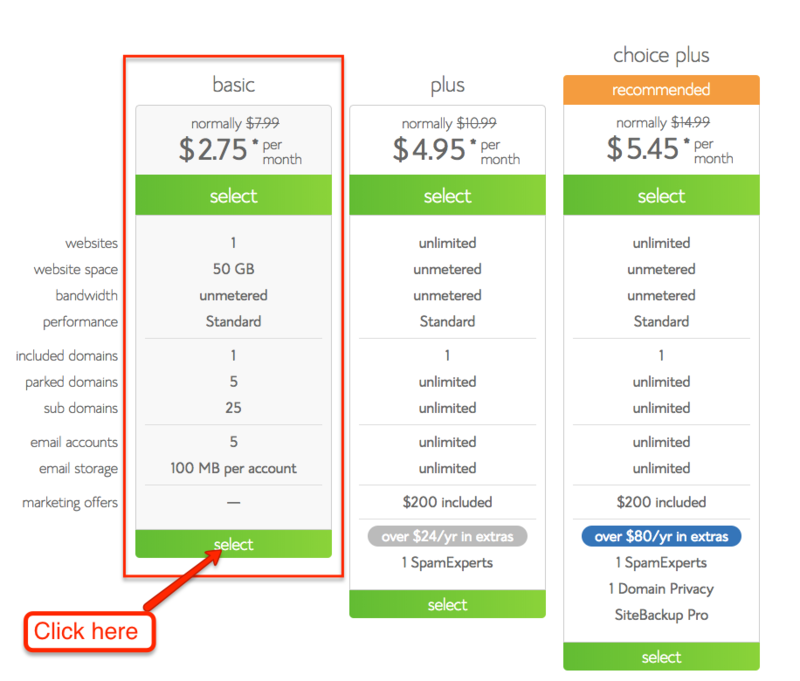 You even get a cheaper price per month if you pay for the 12 months of hosting so the free domain is just an added bonus. All in all, it is very beneficial to sign up for 12 months of good webhosting while saving a ton of money. If this deal isn't good enough, then you can go for the 36 month plan which gives you an even cheaper monthly price (If you are building a brand and are in for the long run, I suggest the 60 months plan, so you don't have to worry for the next 5 years). If you want to get the free domain then just skip to the hosting step as you can get a free domain when you buy your hosting. There are obviously some costs associated with starting your very first WordPress blog with hosting on Bluehost, but don't worry it won't cost you a fortune. Let's discuss some of these costs and how you can minimize them. To get the best deal, choosing the Basic plan is the way to go. It's ONLY $2,75 a month if you use my special link (paid in full upfront). Furthermore you can choose to sign up for 12 months, 24 months and 36 months. You can also pay month by month but that is not recommended at all as it will cost you more and create more hassle. The price per month decreases the more months you sign up for. If you are just starting off with your blog and this is your first time blogging, I would suggest the 12 month plan, as it is affordable but also not too long term. The 36 month plan however, saves you the most money long term as the per month price adds up to a lesser amount. As a first timer, the Basic plan is perfect for you. Plus and Business Pro plans do provide better services which you can see listed on the website. Skip the Business Pro plans as they cost more and provide additional services that you don't need yet. You can always switch to a better plan once your blog is up and running successfully. Another important thing that you need to pay for is the Domain Privacy Protection which comes at only $0.99 /month. This is only so your contact information remains secure. Apart from the above items, there is no other product that you need from Bluehost at this point. So deselect all extra options and move forward. While paying month to month is an option, I would personally not recommend doing so. I stress the importance of getting a 12 month package as it much more affordable in the long run. By signing up for 12 months you get the added bonus of a free domain name, lower pricing and a stable website which doesn't expire each month. When you pay monthly, you risk your website going down if your hosting is not renewed or your card expires. If your website is down, it will have a significant impact on the traffic and the income generated through your blog. Paying month by month is also much more expensive than paying for 12 months up front, accordingly the per month cost decreases the more years you sign up for. Generally hosting your blog on Bluehost will cost you around $59 a year or approximately $99 for three years, which is an excellent deal. The most beneficial deal is purchasing the 36 month plan as it really reduces the long term overall costs. However, if you are looking to just try your hand at earning money through blogging, then the one year plan is just as good. Head to Bluehost WordPress hosting and click the Get Started or Choose Plan button. Enter the domain name you had registered earlier or sign up with a new one if you hadn't already. Enter the necessary personal information and payment details. Now you will be prompted to enter a password. Come up with a secure password to protect this important information. Good going! You are almost there and halfway through the process of building your WordPress blog using Bluehost. With this step you have successfully purchased the hosting for your new blog. It is possible for you to have a domain name from one site and hosting on the other. In this case, this step is only for the ones whose Domains are bought through Go Daddy. You can skip this step if you purchased your domain from Bluehost directly. In this I will explain how to connect your GoDaddy domain with a Bluehost web hosting. If you buy a domain through Go Daddy (or other websites) you need to make a connection between your domain and your hosting account. Go daddy has a support page dedicated to setting appropriate nameservers for your domain name helps create this connection. If you are using GoDaddy to buy your domain and Bluehost for hosting then you need to modify the DNS nameservers accordingly. Follow the steps given below to do that easily. Login to GoDaddy.com and go to the Account manager. Choose Manage Domains from the drop down menu Domain names or the Manage Your Account list. Check the domain name you wish to modify using the checkboxes and click on Set Name Servers. After that the only think you have to do is add the domain on GoDaddy as an add-on domain on Bluehost. Log into Bluehost and click “Domains” and then click “Assign”. Following these steps, you can easily connect your Bluehost hosting with your domain on another website like GoDaddy. This is the final most important step which you have been waiting for all along. You have come to the end of your WordPress creation journey using Bluehost. 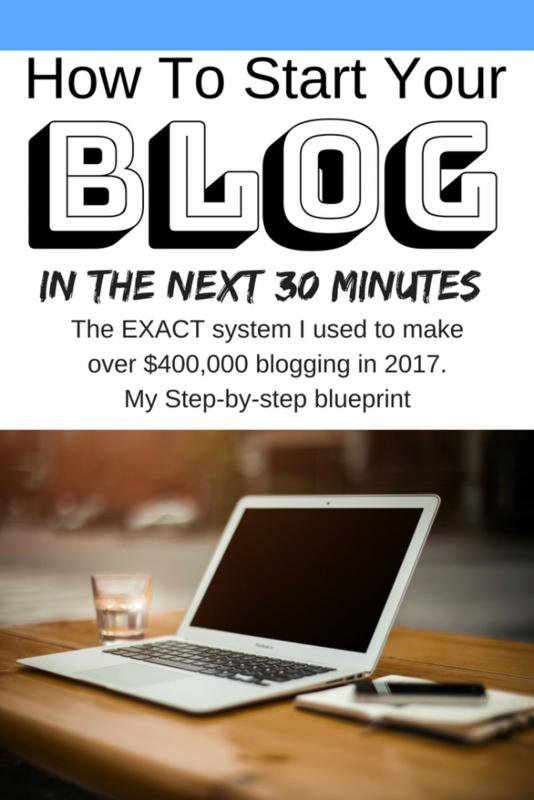 So read on to finish the process and get started on your blog. Don't worry, this is the easiest part. Creating a WordPress blog on Bluehost is made even easier through guidelines provided by Bluehost. And did we mention that it's free? After deciding and entering a password, Bluehost guides you step by step on how to set up your WordPress blog to make your experience much easier and smoother. Bluehost will first ask you to pick a theme for your blog, you can choose any of the given ones or skip this step. You can always choose a theme you actually like later, after the blog is set up. There are tons of free themes available out there which you can experiment with or get a custom made one from a designer. Then click on “Start Building” to put things into motion. Next you can either choose “Business” or “Personal”, it depends on you. You can also just choose the “I don't need help” button. Congratulations, you have finally created your very own WordPress blog with Bluehost webhosting. If you were once someone asking the question, “How to make money blogging online?” then you are very close to finding out. This is just the beginning of your career as a blogger, so make it count. Now the real part of blogging begins, creating good website design and excellent content. You might be using WordPress for the first time ever and it might seem a bit daunting. If that is the case, then read some of my tips below to learn the basics of navigating WordPress. To create new posts, log in to your WordPress and click on the “Posts” button given at the left side of the screen. To add an image click on “Media” present at the left side of the screen. Navigate to “appearance” and then go on “Widgets” to add useful widgets to your sidebar, header, footer etc. As a beginner, it is good practice to do some courses related to blogging, affiliate marketing, advertising, increasing traffic and SEO. These are skills that are necessary for your blog to be successful and generate a good income. There are many eBooks and courses on the topics mentioned, some are even free of cost! So, don't forget to take these valuable learning opportunities and invest in them for a better blogging career. Click here to watch the case study of how I generate $10,000+ PER WEEK with affiliation. WordPress is a very useful service which allows you to create beautiful blogs with lots of interesting features. The best way to get a hang of using WordPress to maximize your blog's features is to experiment and practice as much as you can. So for anyone who is confused about how to make money blogging online, this is the very first stepping stone. Your real job starts after you have a self-hosted blog on WordPress using the reliable webhosting service Bluehost. Now that you have a blog, it is time to start thinking about how to make it better. Nothing can be achieved without hard work and dedication, so make sure you pour all of it into your new blog. The real challenge is to gain loyal followers and maintain the views on your blog to achieve a consistent income. Don't worry, it is not that difficult and you are already well on your way to building a successful blog which you can make money from.